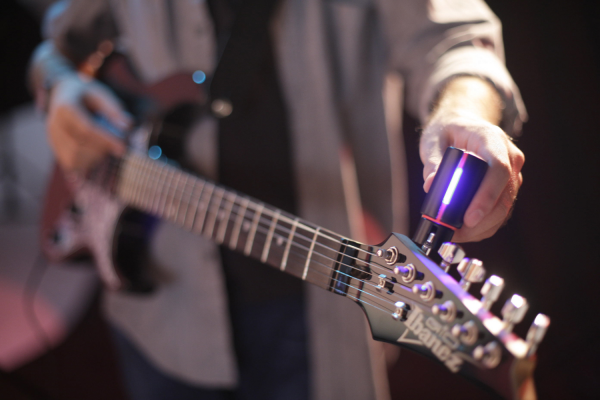 Roadie Tuner is the ultimate guitarist's tool — an automated robotic guitar tuner that is both quick and easy to use, and three times more accurate than the human ear. Complemented by a mobile app, this hand-held tuner adds new dimensions to music-making by allowing musicians to freely experiment and save alternate, custom tunings. 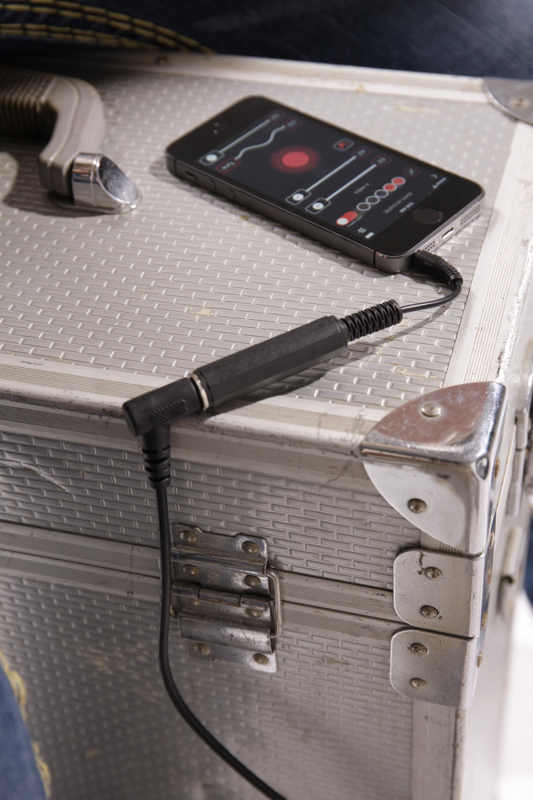 Roadie is also the first device capable of tracking the quality of an instrument's strings, notifying musicians when strings are about to snap and need replacing. Our Kickstarter campaign tripled its funding goal last year, raising approximately $180,000. 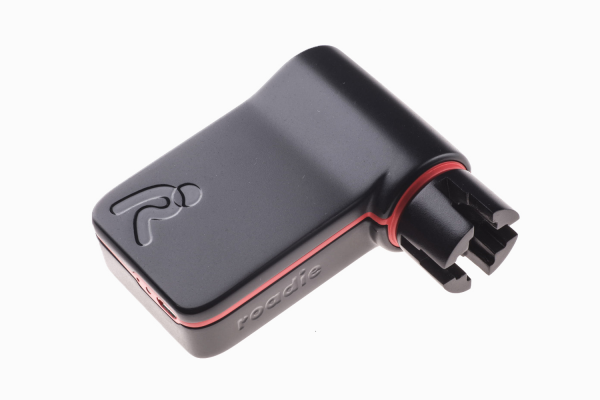 Roadie Tuner was named Audience Choice winner at this month's TechCrunch Disrupt conference in New York. Roadie was born out of the difficulty of achieving accurate alternate tunings on guitars and other string instruments during practice and the brief periods of time available to musicians in live (and often noisy) performance settings. One of Roadie's creators, a player of guitar and oud, had experienced this frustration first-hand (the oud has twelve tuning pegs), and it is this need that drew attention to a gap in the market for an elegant solution to a problem many musicians still face today. Our belief that technology should enrich music without interfering is at the heart of the Roadie's design. Roadie seamlessly bridges the gap between the digital and analog worlds of software and electronics by adding layers of functionality to an elegantly, ergonomically designed device through an app that takes advantage of the Bluetooth capabilities of smartphones. Our mobile app lays the foundation for developing a fully-fledged platform that brings together musicians to share their tunings and expertise, helping to foster and enrich the music community worldwide. One of the most significant challenges encountered while designing Roadie was picking a suitable motor that has enough torque, fits in the housing, and meets our technical requirements. At first, we experimented with some motors, iterations were slow since they involve international shipping. As soon as we arrived in Shenzhen, China last August, we went down to the electronics market, tried not less than 30 motors, narrowed down options, and two days later, visited our motor manufacturer, and come out of the meeting with the custom made motors we're currently using. Luckily for product designers today, the barrier of entry for designing hardware and getting production to scale has gotten easier in recent years due to more globalised networks of makers and startup accelerator programs. Another key challenge we found centred on finding an ergonomic configuration that would be comfortable for all types of guitars whether with upward, downward or backward pointing pegs. We also faced the challenge of designing a tuner head that fits all standard guitar pegs. We approached this challenge by taking advantage of tools available to makers in the new industrial revolution, for instance trying more than 50 3D prints on real musical instruments. Every possible concern of a musician is taken into consideration, e.g. comfort in-hand and on-the-go, the ease with which tunings can be switched, and compatibility with other string instruments such as ukuleles, mandolins, etc. The app developed to accompany Roadie is minimal and follows the principles of flat design, while harmonizing aesthetically with the latest phones and operating systems. There is currently no other tuner on the market — whether hardware or software — that provides the ease, accuracy, portability, versatility and affordability that the Roadie tuning system offers. For beginners and professional musicians alike, the sky is the limit in terms of the music that can now be composed and performed with Roadie comfortably and reliably in tow. Sustainability was an important factor when it came time to consider materials and the manufacturing process for Roadie. China is not very famous for environmentally friendly manufacturing. This is why we are taking special care of this factor while selecting our manufacturing partners and materials. We ask questions about recycling, working conditions, efficiency, emissions, and we will be publishing our findings in a future Kickstarter update.